This was actually what I'd planned on wearing to Wireless on the Saturday but after my hair was made all pretty and girly I decided I needed to change into something a little less boho/grungy and a little more girly. However I really like the outfit so obviously I'll share. I bought the Kimono to actually wear on holiday as a beach cover up but I didn't even bring it on holiday for reasons unbeknown to myself. But on the other hand it makes perfect festival attire. I spent most of the time sitting on it admittedly but it's good, lightweight and easy to wear. I paired it with a low back American Apparel dress which I don't actually like all that much, It's a bit of a sack style dress with a weird turn up at the bottom, although lets face it I wear it an awful lot for someone who doesn't actually like it! Really love this outfit very festival esque. I could never really pull off the whole kimono look. Une fois de plus j'adore, en particulier les chaussures... tu as un style de fou! That kimono is so pretty! oooh i love this! :) kimonos are my new obsession! 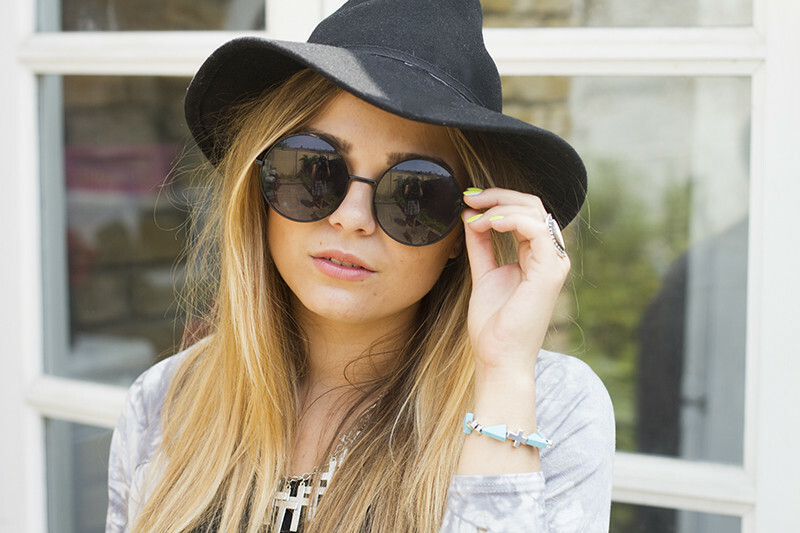 Loving the new style of the outfit posts and also your boho style! I really like this style on you!! this look is absolutely amazing! especially the hat and the sunnies! Love this look! Really tempted to get this kimono! Love the kimono and those sandals - gorgeous!! visit my blog to enter the giveaway! incredible look! Those glasses are right up my street, i better get shopping..
i tried this hat on the other day, or a similiar style if this is old, and damn, wish i bought it! That jacket is gorgeous! You look lovely, as usual. You look beautiful, that kimono is AMAZING! I love the kimono its beautiful! You look great! I wish I could pull of glasses like those, they're so unique and fun. 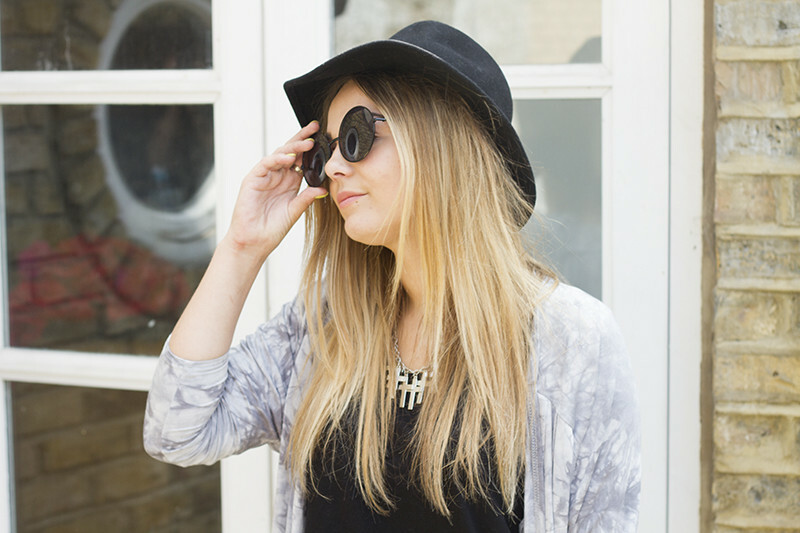 Adore the droopy hat and shades, they make me wish Summer would come back! Beautiful! It's suitable for wearing everyday in the summer. I love your style. thanks for sharing.